Norwalk, Connecticut: Easton Press. 1977. First Edition; First Printing. Hardcover. Fine, Accented in 22kt gold, printed on archival paper with gilded edges, smyth sewing & concealed muslin joints. Bound In full leather with hubbed spines. Pristine. 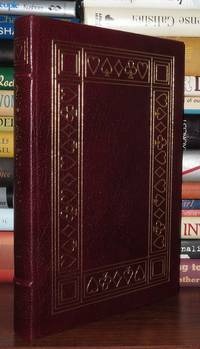 ; 100 Greatest Books Ever Written by Easton Press; 8vo 8" - 9" tall .